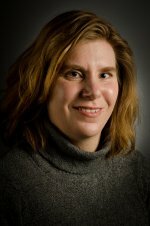 Congratulations to Dr. Birgit Schwenzer at Pacific Northwest National Laboratory on being chosen as a Materials Research Society Bulletin volume organizer. In this role, Schwenzer and her three colleagues select the themes, guest editors, and one thematically unrelated review article per month for the 12 issues in 2013. As each issue goes to print 4 months before it hits the desks of 16,000 subscribers, the team is already working on several issues. "In selecting themes, we need to consider that not all of our members are in North America," said Schwenzer. "We need to make sure that different people with different views contribute to each issue." Materials Research Society President-Elect, now President, Bruce Clemens asked Schwenzer to take on this role because of her broad materials experience and her connections in the scientific community. Schwenzer's work spans metal organic, inorganic, and bio-inspired chemistry. She has worked on materials for different applications, with recent work in energy storage. A native of Germany, Schwenzer travels extensively and has built a vibrant international network of colleagues. She routinely gives invited talks and chairs sessions at conferences and has served as a visiting materials researcher at one of the top research institutes in India. "As a volume organizer, I get to influence the MRS Bulletin to include more chemistry," said Schwenzer. "I'm advocating adding theory and basic science aspects to each issue."